The Thresher staff is disappointed in both the voter turnout and the lack of seriousness displayed by some voters during the SA elections. Though other commitments to clubs, sports and residential colleges might prevent many students from being involved in the SA, students should at least be informed of the SA’s actions, especially during the SA elections. 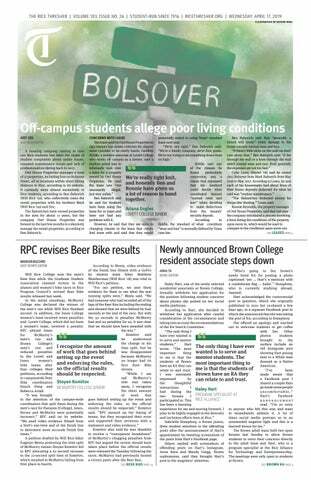 Students should be aware of changes on campus that likely affect their life at Rice. We were worried by the number of students who put joke write-ins for their first choice in some positions like SA president. Elections for student government should be taken seriously, and the amount of humorous or offensive write-ins is reflective of the general student opinion of the SA. We hope this attitude will change, as the student government is an important and influential organization. In the future, we hope students will put as much effort into researching SA candidates as they did formulating witty write-ins for the ballot this year.